Progressive Conservative party leader Doug Ford appears at a campaign rally in Oshawa, Ontario, Canada, April 30, 2018. Voters in the Canadian province of Ontario will elect a premier on June 7. 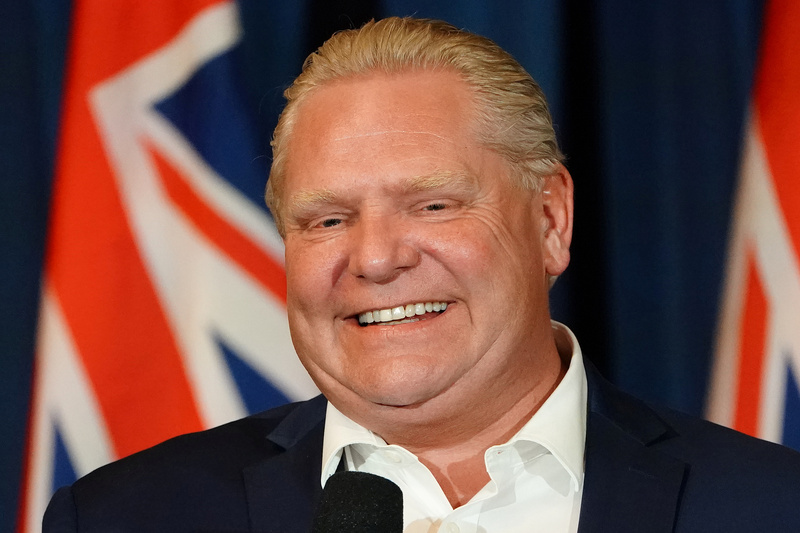 Doug Ford, the Progressive Conservative candidate, is in a competitive race against Andrea Horwath of the New Democratic Party. Current Premier Kathleen Wynne, who belongs to Canadian Prime Minister Justin Trudeau’s Liberal Party, conceded on June 2 that she would lose the vote. Separately, voters in Mexico will elect a new president. Left-wing populist candidate Andrés Manuel López Obrador has almost twice as much support as his nearest rival, according to a poll published in newspaper El Financiero on June 4. In the United States in November, Americans will choose members of Congress for the 435-seat U.S. House of Representatives, while 33 of 100 seats in the Senate are up for election. Government officials from all three countries are still negotiating a new North American Free Trade Agreement. White House economic adviser Larry Kudlow told Fox News on June 5 that U.S. President Donald Trump may seek bilateral trade deals with Canada and Mexico instead of renegotiating NAFTA. The Mexican peso dropped by 1.4 percent against the U.S. dollar after his interview.